Another analyst is talking up Apple's (AAPL) inevitable push into wearable computing. 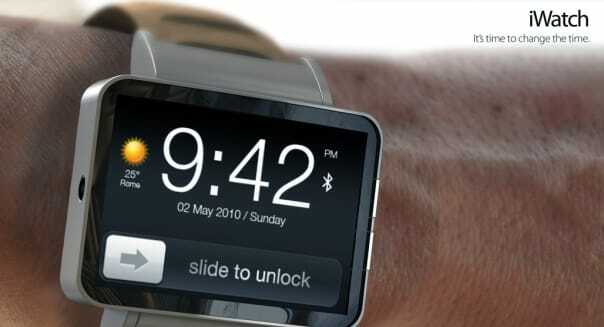 KGI Securities analyst Ming Chi Kuo sees the iWatch -- Apple's long-rumored smartwatch -- rolling out by the end of summer. Kuo's timeline forecast for 2013 was fairly accurate, validating his connections with Apple sources and suppliers. (In 2014, He also predicts new iPads, thin MacBooks and larger iPhones.) Apple CEO Tim Cook has also promised an entry into new product categories, and the smartwatch tends to be a very popular prediction. Unfortunately, time may be running out on an the iWatch. Apple's biggest splashes have come when it's a disruptor. When the iPod was introduced in 2001, there was no other popular digital media player like it. It cornered the market. When the iPhone rolled out in 2007, we already had Palm and BlackBerry (BBRY) making smartphones, but they were marketing primarily for corporate power users. Apple's sleek touchscreen design launched the consumer-facing smartphone revolution, making it the basis for most phones we have today. When Apple rolled out the tablet three years later, the market didn't think we needed a device that was too big to be an iPhone but too small to be a MacBook. It was a new market category. Apple eventually lost global market share in smartphones and tablets to Android devices, but the world's most-valuable tech company was able to dominate three industries that it helped revolutionize. That's not going to happen with the iWatch. Pebble attracted the market's attention on Kickstarter two years ago, raising more than enough money to launch the first mainstream smartwatch. It wasn't fancy, using Bluetooth to send text alerts, emails and notifications of incoming calls and social updates from the phone in your pocket, purse or desk to your wrist. It also plays nice with what is now more than 1,000 apps. It didn't take long for other consumer tech giants to dive in. Samsung -- having overtaken Apple to become the world's-largest smartphone player -- raised the bar with Gear last year. Using voice commands to make and take calls right from the watch improve on the original Pebble. Samsung's Gear 2 has a built-in camera, a stand-alone music player, fitness monitoring and ability to be a TV remote control. A major disadvantage to the Gear is that it doesn't have the same kind of week-long battery life that the Pebble promises. There's a price to pay with having all of these bells and whistles, and charging your phone every day is more of a drag than juicing up a phone or tablet. This is where Apple can make a difference, but it won't be able to offer more features than Samsung without sacrificing battery life or making it too expensive. That's the rub. Where will Apple go if it wants to create a truly disruptive device? There is no shortage of iFans who will jump all over the iWatch initially, but now that the market is established there's a risk that Apple puts out little more than a "me too" product. Motley Fool contributor Rick Munarriz has no position in any stocks mentioned. The Motley Fool recommends Apple.